KUALA LUMPUR : Public Mutual, Public Bank Bhd’s wholly-owned unit trust, has announced a distribution of more than RM61 million for five funds for the financial year ended Jan 31, 2019. 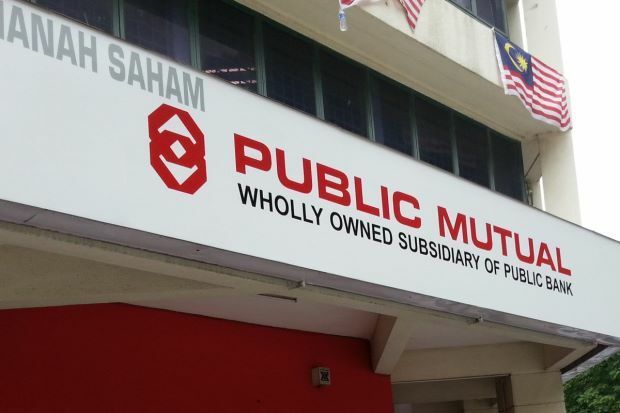 In a statement today, Public Mutual said the distribution for the funds are as follows: 1 sen per unit for Public Index Fund; 0.5 sen per unit for Public Islamic Optimal Growth Fund; 3.5 sen per unit for Public Enhanced Bond Fund; 2.6 sen per unit for Public Money Market Fund; and 1.25 sen per unit for PB Dividend Builder Equity Fund. It said the Public Index Funds, Public Islamic Optimal Growth Fund and Public Enhanced Bond Fund are open for EPF Members Investment Scheme. As for the Public Series of Funds, they are distributed by Public Mutual unit trust consultants, while the PB Series of Funds are distributed through Public Bank branches nationwide. As at end of December 2018, the total fund size managed by Public Mutual was RM78.7 billion. Being Malaysia's largest private unit trust company, Public Mutual has over 130 unit trust funds under its management. Also an approved private retirement scheme or PRS provider, it manages nine PRS funds.